Taxation in sovereign countries like Pakistan has developed into two types. The “direct tax” that you have to pay is called as such because you are the one benefiting from the transaction that have you undertaken. The tax you collect from other persons on behalf of your government and then faithfully pay into the government’s Treasury is called “indirect tax”. Income tax is a direct tax, while sales tax on goods and services is an indirect tax. The purpose of this article is to highlight the situation when the government makes laws and rules that end up turning an indirect tax into a direct one. Income tax is charged on a person’s income. Income has a variety of meanings in tax law, many of which may not make sense to us. A good example would be the electricity expense – for a business it is a business expense not income, but as per tax law, every commercial electricity meter holder has to pay a minimum amount of income tax on its electricity expense, as if it were its income. “The hardest thing to understand in the world is the income tax.” If these are your sentiments, then you are in good company. These words are by the late Albert Einstein. Have you ever thought about how you get your newspaper at home or an internet connection service (non-stop)? The answer is: through “supply chain management”. Everything we consume during the day, be it goods or services, comes to us through a chain of businesses that all work in sync and are collectively called supply chain agents. The government uses these same agents to collect sales tax from us, as we are the final consumers of these goods and services. So, every time you pay for petrol, you pay sales tax as part of the price of the petrol; you get petrol for your vehicle, the petrol pump business earns its income and profits and the government gets its tax revenue, as an indirect tax source. “Knowledge is power” is an old but powerful proverb which seems to be getting truer with every passing day, especially since we are moving from a ‘manufacturing’ world economy to a ‘service’ one, as a result of the knowledge revolution (“big data”) we are creating every day at the speed of light. Similarly, governments are also moving from the taxation of manufacturing and industrial businesses to the taxation of service businesses in order to increase their tax-to-GDP ratio and control their budget deficits. This brings us to the newest tax type making rounds on the business landscape in Pakistan: the service tax charged by every province in the country on every service provider residing in that province. 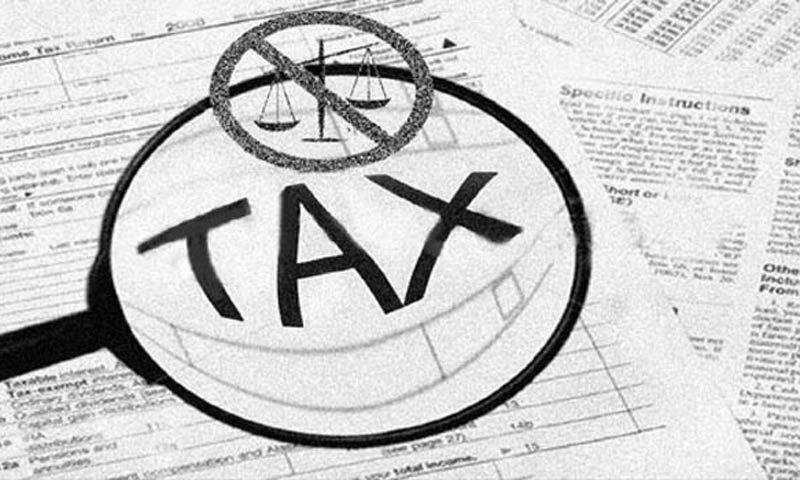 Punjab has a law known as the Sales Tax on Services Act that lists all services which have to charge (collect) tax from their customers and deposit it in the government’s bank. Turning now to the problem that needs to be considered: the taxation powers of the federal and provincial governments and how they create great hardship for businesses and consumers if not used collaboratively or in sync. The present rule of taxation according to our Constitution is that the taxes on manufacturing and industrial businesses which they collect from us, the final consumers of their products (goods), are charged by the federal government, whereas the taxes on service businesses, which they collect from us, the final consumers of their products (services), are charged by the provincial government(s). Last year, the Supreme Court had to intervene in the matter of a charge of sales tax and service tax on mobile services, charged altogether from us, because the federal government was considering mobile services as goods and the provincial governments were treating them as services and so we (businesses as well as consumers) were being taxed twice. Now a similar problem is raising its head, especially against the business community, where provincial governments are considering certain goods as services and taxing even the federal government as part of the supply chain, which leaves the businesses in the chain with no choice but to bear the taxes (costs) themselves, effectively making service tax, an indirect tax, into a direct tax like income tax. Hence the dilemma of sales tax and service tax being equated with income tax.